Theo Bleckmann. A singer and new music composer of eclectic tastes and prodigious gifts, GRAMMY® NOMINATED and ECHO award recipient Theo Bleckmann makes music that is accessibly sophisticated, unsentimentally emotional, and seriously playful, leading his work to be described as “from another planet” (New York Times), as “magical, futuristic,” (AllAboutJazz), “limitless” (Citypaper, Philadelphia) “transcendent” (Village Voice) and “brilliant” (New York Magazine). Bleckmann has released a series of gorgeous and irreverent albums on Winter & Winter, including newly-arranged songs by Charles Ives (with jazz/rock collective Kneebody), his acoustic Solos for Voice “I dwell in possibility”and his highly acclaimed “Hello Earth – the music of Kate Bush.”His most current project is a song cycle of music that deals with the delicate subject matter of death. His new project will be released on ECM. 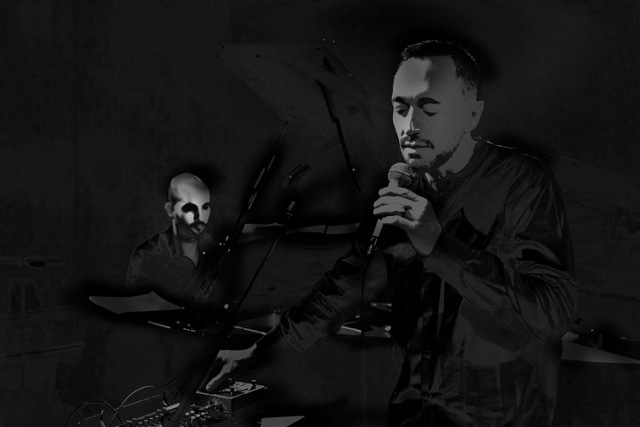 Bleckmann has additionally collaborated with musicians, artists, actors and composers, including Laurie Anderson, Uri Caine, Philip Glass, Ann Hamilton, John Hollenbeck, Sheila Jordan, Phil Kline, David Lang, Kirk Nurock, Frances MacDormand, Ben Monder, Michael Tilson Thomas, Kenny Wheeler, John Zorn, the Bang on a Can All-stars, and, most prominently, Meredith Monk, with whom Bleckmann worked as a core ensemble member for over fifteen years. He has been interview by Terry Gross on NPR’s Fresh Air and appeared on the Letterman show with Laurie Anderson.